Sears Home Services can help you repair, improve, and maintain your appliance needs in Santa Clarita. Their home services protect and improve the quality of a customer’s home. Their services are efficient at fixing HVACs, windows, installing roofs, and improving the appearance of exterior angles of a household as well as remodeling kitchens, bathrooms, and cabinets. If you’re in need of maintenance & tune ups, Home Sears Pro Services will help extend the life of your appliances. Sears Protection Maintenance is the best in the industry. If an appliance breaks down, Sears Home Services will fix it. Best of all, there is unlimited services available with no deductible or fees. If your Sears appliance or product cannot be fixed, Sears Home Services will deliver and install a brand new one with comparable features, guaranteed. Other benefits include 24/7 support, a strong network of pre-screen professionals, comprehensive coverage, one cooling check, one heating check, discounted oil changes and tire rotations at a local Sears Auto Center, and 15% back on Shop Your Way points plus free 2-day shipping. Sears Home Services extend beyond that and their website lists all appliance services provided. In addition to their typical services, Sears extends the opportunity to purchase a protection plan to cover appliances and systems in your home. If your product or appliance breaks, call or visit their website to have a service professional schedule a time to come to your home and repair the covered item. If the item isn’t salvageable, Sears Home Warranty will replace the item, with a nominal service appointment fee. All repairs come with 6-month workmanship guarantee. Sears Home Services can install your countertops, flooring, and safeguard garage doors, along with many other household appliances. In turn, you’ll get a more modern and authentic style for longevity and maintenance. Free home estimates are also available for any home improvements you need in your home. Sears’s HVAC Savings Program allows every paid HVAC maintenance and repair service with Sears Home Service to earn you dollar-for-dollar savings towards your next HVAC replacement and up to 10% of a new unit purchase price. The best part is, savings never expire as they accumulate over time. Their website also lists life hacks and tips on how to keep your appliances and home clean with articles on little known facts. Give Sears Home Services a call, schedule an in-home consultation and get your home remodel installed. 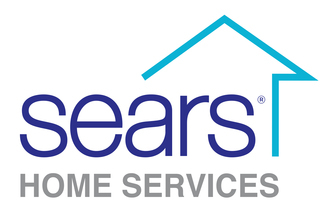 To learn more about Sears Home Services, click here.